I spent the weekend revamping an old pattern of mine (a bear from 2014) to bring you this new pattern, it's the same style but new, bigger pattern with a different shaped head, muzzle and arms. He's in a sitting position, the sweater is part of his body. The hat can be removed and it has ear holes so it stays put when on his head. 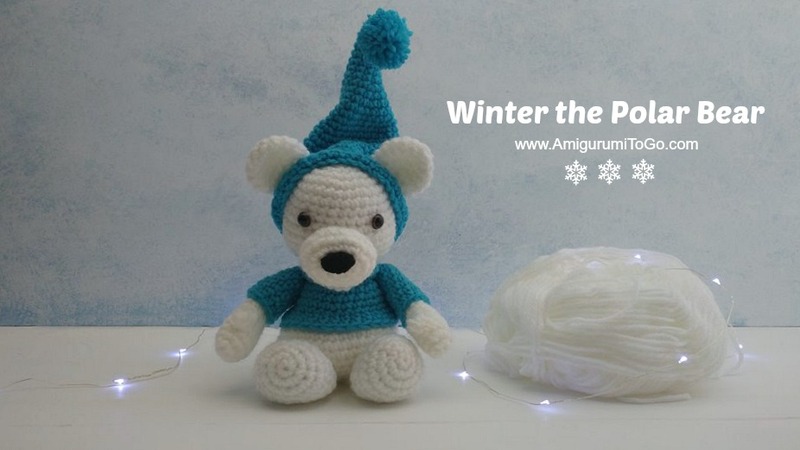 The pattern will be released November 23rd. I am currently working on a video tutorial but not completely sure of the video release date. Fingers crossed it will be ready the same time I release the written pattern. UPDATE: The written pattern is here, no video tutorial ready yet. The bear pattern I released in 2014 has been one of my most popular patterns on my blog and youtube channel. 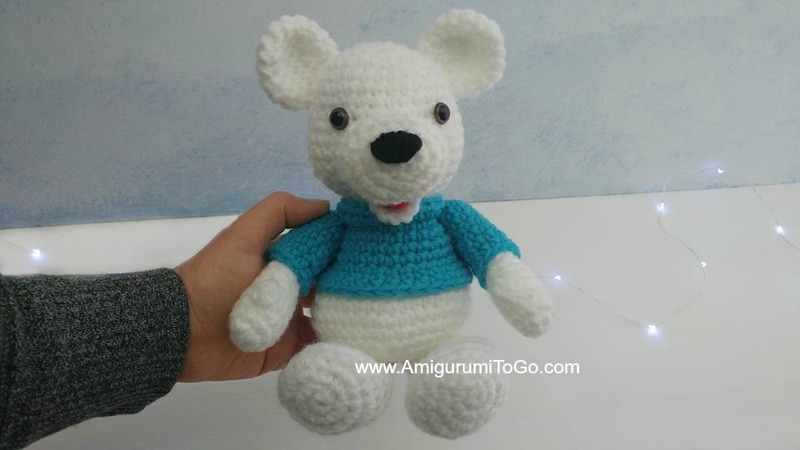 The video I made for that one is okay and it's helped many people make their first bear ever but I've learned so much since that time I could pass along better information and make life easier for those just starting out on their crochet journey. Also, it's a low quality video, it wasn't filmed in HD and that drives me a bit batty. 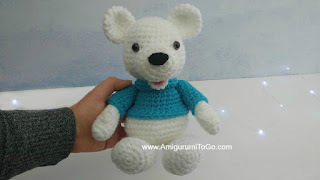 With this revamped pattern I can offer a better video for a similar looking bear! With that said, if you haven't subscribed already, please do it today! I have many crochet amigurumi videos and many more to come. Don't miss out on new uploads, be sure to hit that little bell icon when you subscribe. aww! I'm so happy to read your comment, thank you! This is a bit early but Happy Birthday! Yes! Yes! Yes! I was just popping on to see what Christmas pattern I can make next. I think this is it!